1. David Wright spent his entire MLB career with the NY Mets. After 14 years as a fan favorite, he walked off the field one last time to a much deserved standing ovation. At only 35 years old, Wright's career has ended prematurely due to a back injury. He will go down as one of the 'greats' thanks to his character and the "grace and dignity" he's portrayed throughout the course of his career. 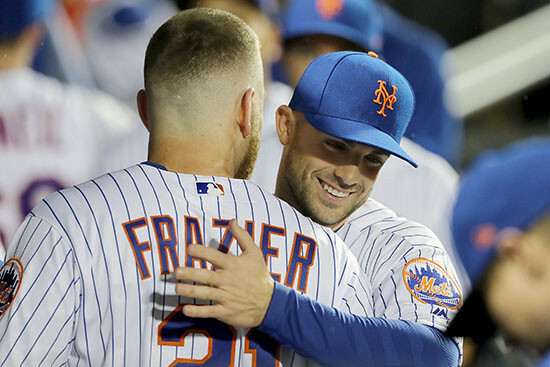 We'll leave you with these sentiments from Wright's teammates, members of the organization and others that show why Wright's departure was so sentimental. 3. The Chicago Cubs ended their season this week, after falling to the Colorado Rockies in the NL Wild Card game. 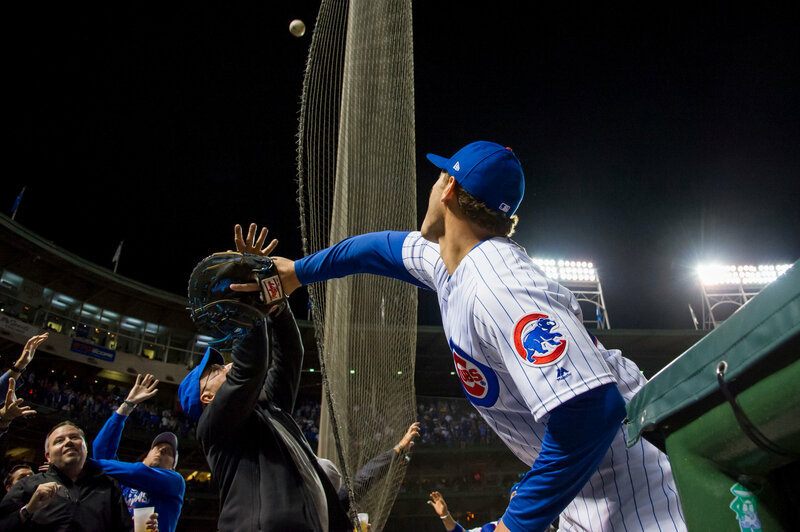 However, before the Cubs short lived playoff appearance, the Cubs fans lived through a deja vu "Bartman moment" when a fan blocked Anthony Rizzo from catching a foul ball in the 9th inning against Pittsburgh. Missing that out, the Pirates got a little bit of new life and gave the Cubs a run for their money, before being retired in the 10th with a walk off single. 4. Some kids want to be like their favorite MLB player one day, others look up to the ones that get the best seat in the house, the umpires. Check out this adorable 'kid umpire' who takes his role very seriously. He does his homework too, making sure he's up to date on all the replay reviews and ejections from the previous day's action. 5. Do you remember this classic commercial with Mean Joe Greene? Before his NFL career with the Steelers, Mean Joe was a member of the University of North Texas Football team. During his stint at UNT, he became an All-American in 1968. Not only is Greene the only UNT football player to receive that honor, he's also the only player from North Texas to have his jersey retired in both college and an NFL team. His North Texas "Mean Green" football jersey came out of retirement for one game this season, when a bronze statue of the Hall of Famer was unveiled at the entrance of UNT's Apogee Stadium. To celebrate this occasion, UNT produced their own version of this famous commercial.